Things have been a bit quiet here on fancy seeing you here lately. 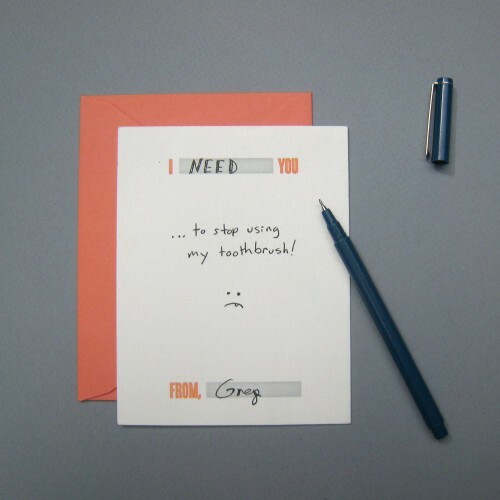 The reason for this is prepping for the National Stationery Show which has me in such a tizzy. It seems like everything is coming together nicely though, even if my to do list is endless! This past weekend I printed with my press Pearl for the first time. It took a bit of troubleshooting to figure everything out, but by the end she was printing beautifully. I’m so excited to finally have her up and running. 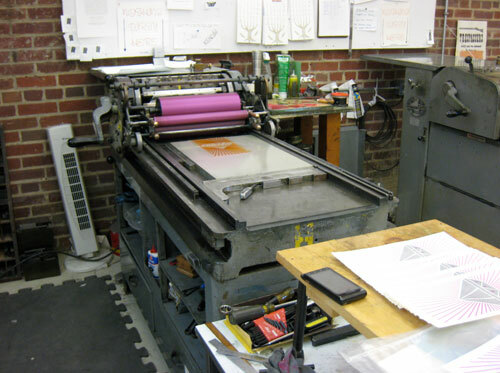 A special thanks goes out to Baltimore Print Studios and John Falstrom for the technical support while I was setting her up. 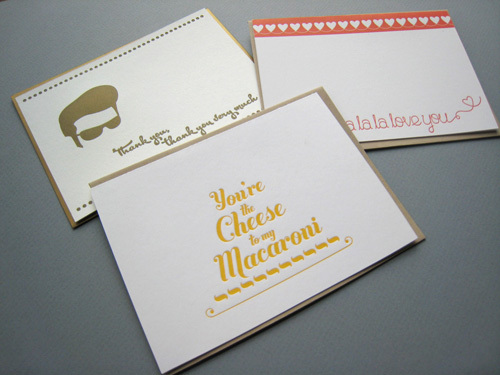 In case you are attending NSS I’ll be in booth #2274 with the Ladies of Letterpress. Tags: fancy seeing you here, fancyseeingyouhere, Golding Pearl No. 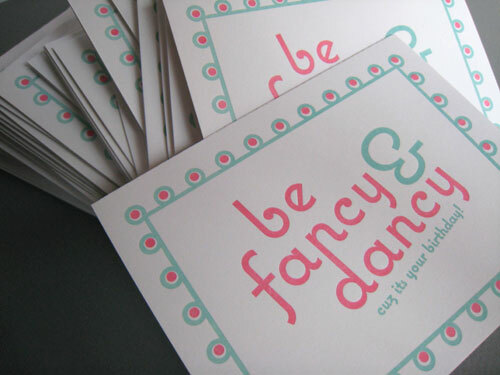 11, ladies of letterpress, letterpress, national stationery show, nss 2012, sarah hanks, Sarah Hanks Ltd. 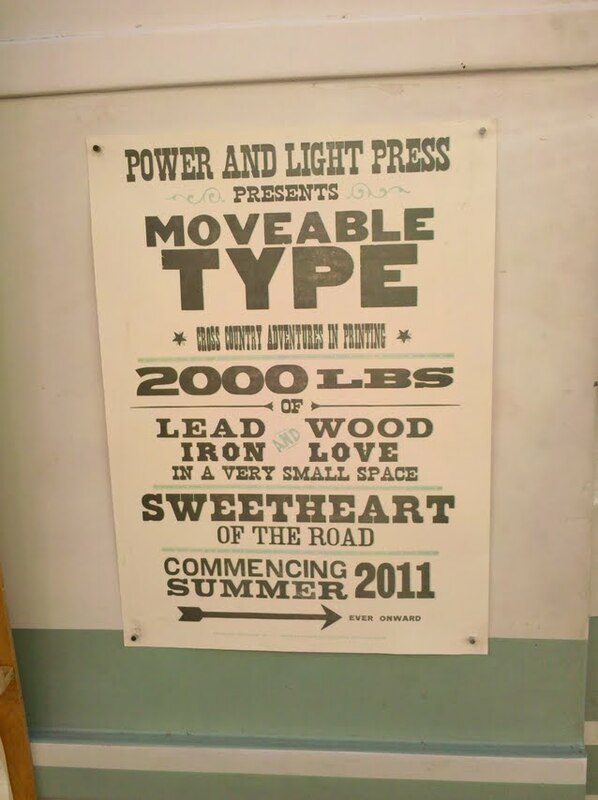 Yesterday I took a trip to Baltimore to check out the type truck at Baltimore Print Studios. 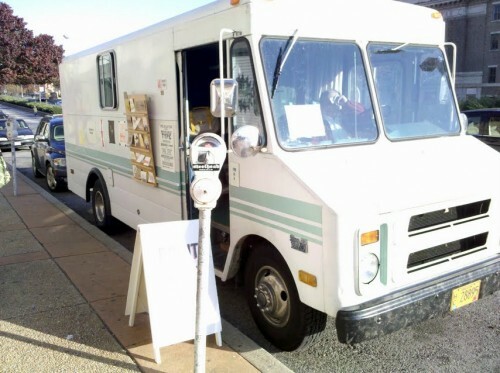 The type truck is completely adorable and frankly I’m a little jealous of Kyle. 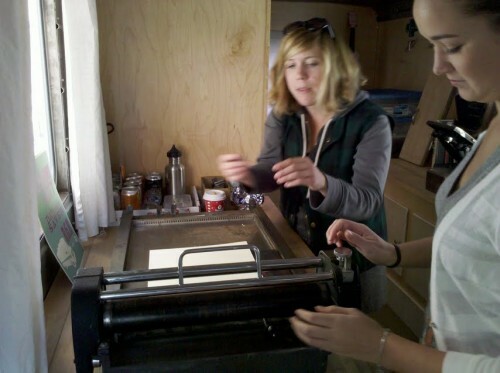 She gets to travel and print—a perfect combination if you ask me. 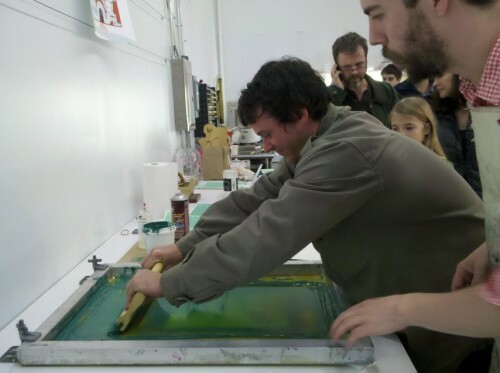 First step was screenprinting a minty layer inside Baltimore Print Studios. 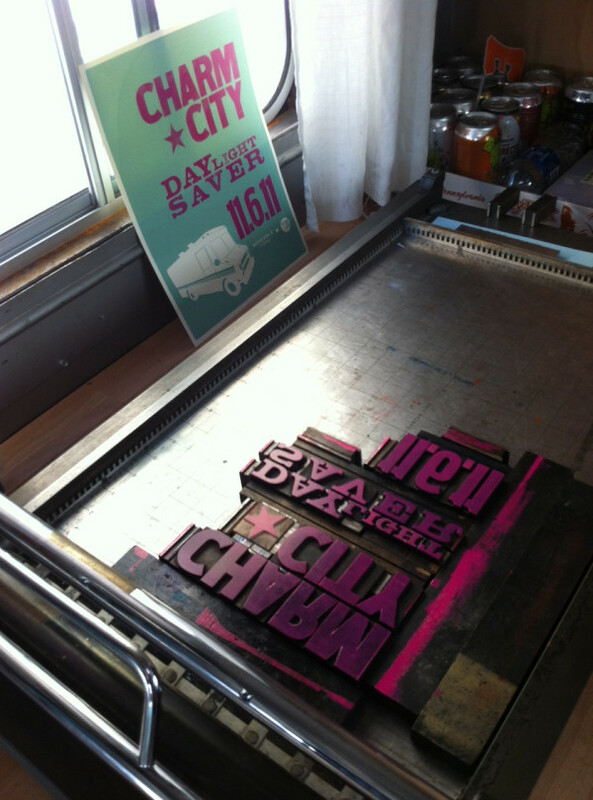 Once that dried I letterpressed the hot pink type inside the type truck. See the final product in the second picture below. A beautiful print to remember the experience, mine’s already hanging on the fridge. 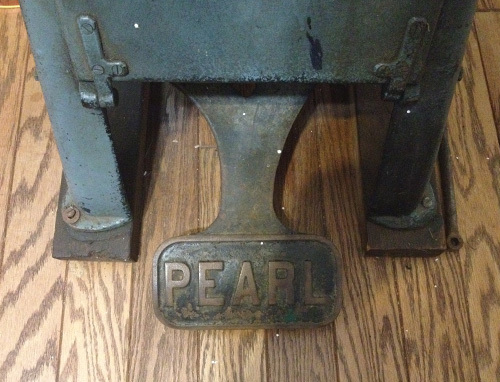 Meet Pearl, my new letterpress! She’s a Golding Pearl No. 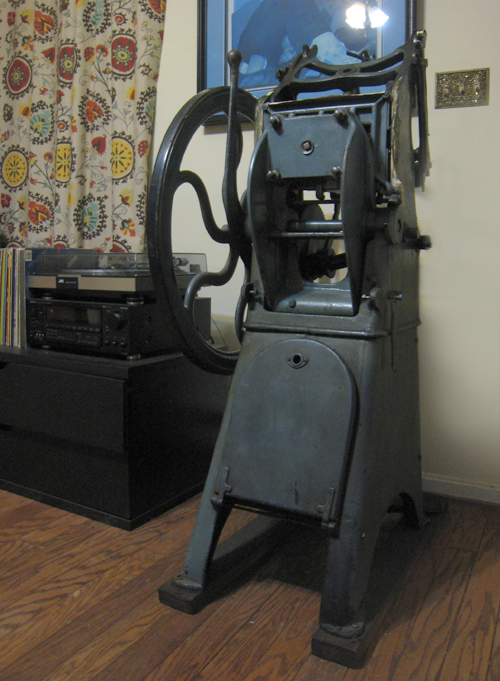 11 Improved 7×11 press. Isn’t she a beauty? 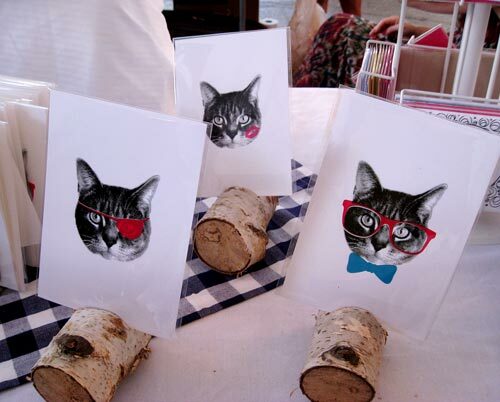 I purchased her from the lovely Sarah of Haute Papier. 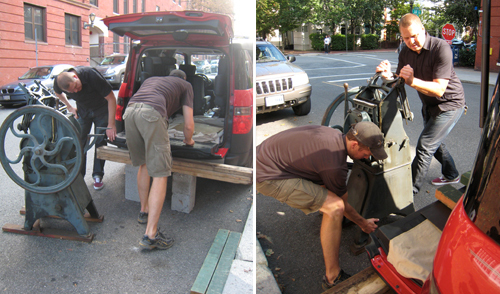 Yesterday was spent moving her from Georgetown to her new home in Bethesda, right next to my record player. 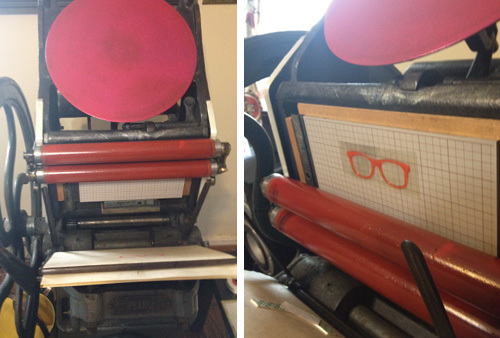 (It is so stressful moving a letterpress!) I have to get a few more supplies before I can get started printing with her, but I can’t wait! Tags: fancy seeing you here, fancyseeingyouhere, Golding Pearl No. 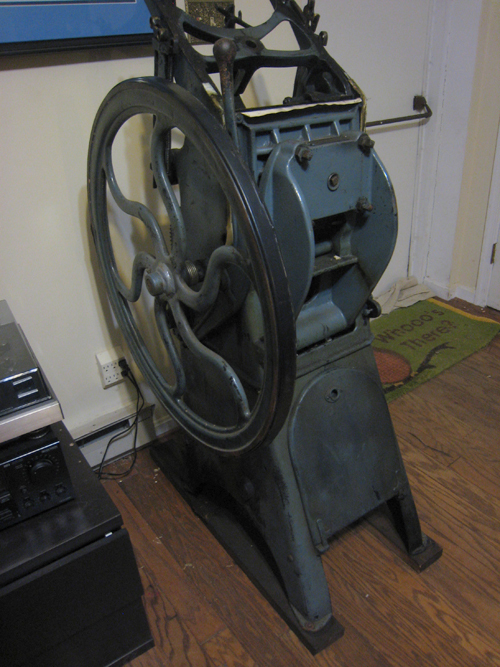 11, letterpress, Pearl 7x11 press, platen press, sarah hanks, Sarah Hanks Ltd.
New items in my shop! I’ve been selling these items at local craft shows but hadn’t had the chance to photograph them for the shop, until now. You’ve seen the Fancy birthday card in one of my previous posts. 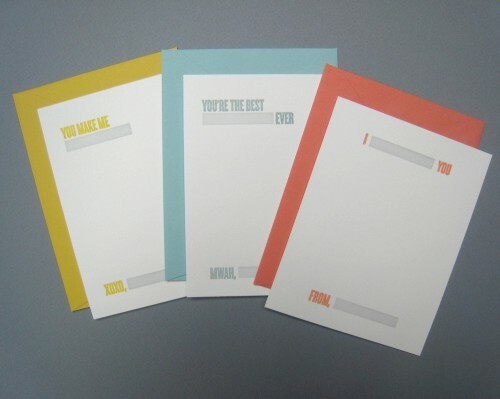 The fill in the blank 3 pack is one of my favorite new items—these cards can be sent to absolutely anyone, you create the message and tone. 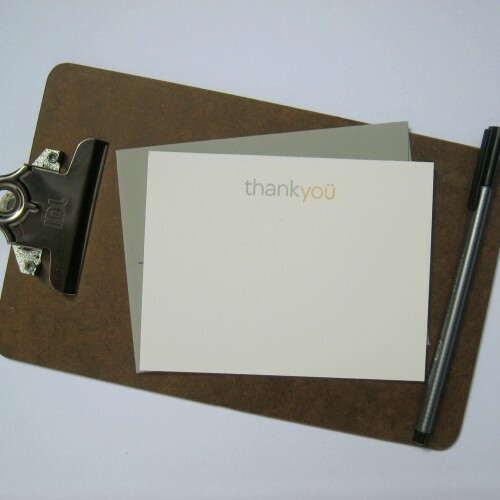 And lastly, a simple thank yoü 3 pack. Be sure to check out my shop for more images and details about these products! 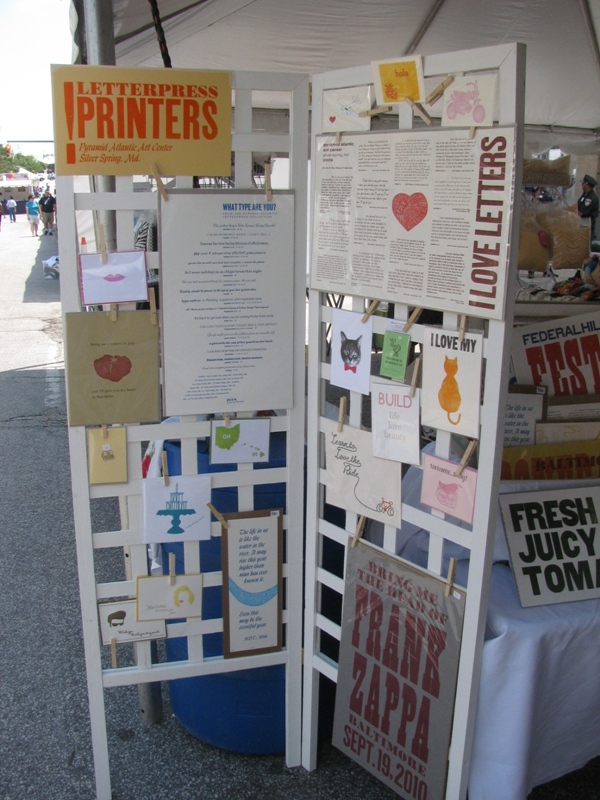 Tags: birthday card, fancy birthday card, fancy seeing you here, fancyseeingyouhere, fill in the blank cards, letterpress, letterpress cards, sarah hanks, Sarah Hanks Ltd.
A few images from our booth at Artscape this past weekend. It was a very busy, hot and exhausting three days, but well worth it—I loved seeing how people responded to our products. 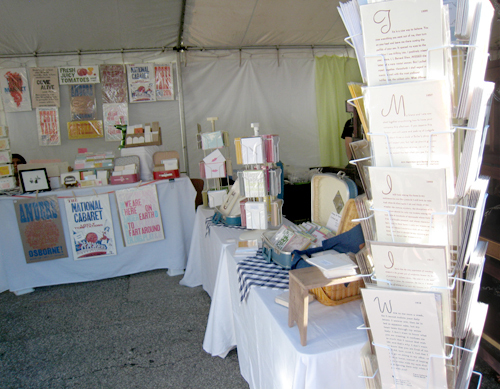 I think our Letterpress booth was a big hit, the combination of all our different design styles and products was unique and we truly had something for everyone. 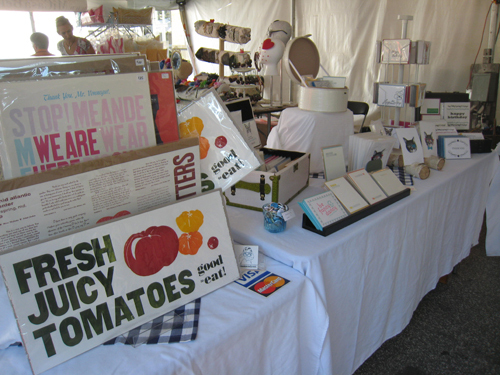 Tags: artscape, baltimore craft show, fancy seeing you here, fancyseeingyouhere, letterpress, sarah hanks, Sarah Hanks Ltd.
artscape art festival: this weekend! 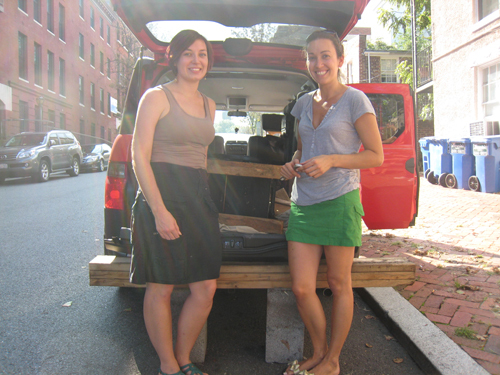 This upcoming weekend I’ll be participating in Artscape in Baltimore. Artscape is the largest free art festival featuring 150+ artists and all sorts of entertainment. 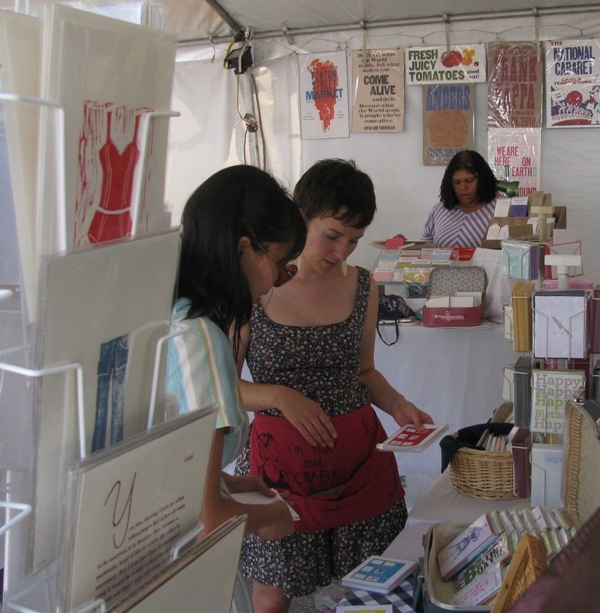 I’ll be sharing a letterpress booth with Julia Louie, Melanie Karlins, Moira McCauley, Steve Cole and Amelia Smith. We’ll be at Booth C15 in the DIY Section. Please stop by if you can! 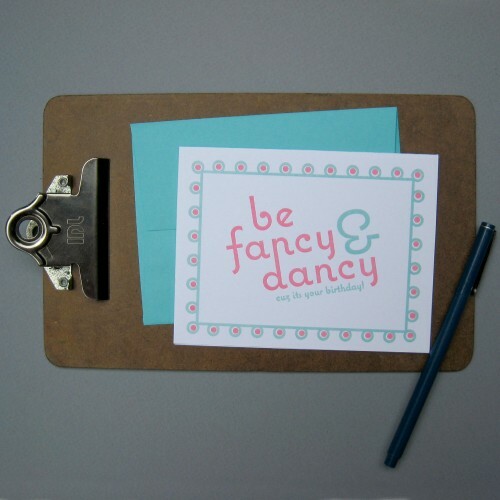 Tags: artscape, baltimore, baltimore craft show, craft show, fancy seeing you here, fancyseeingyouhere, letterpress, sarah hanks, Sarah Hanks Ltd. 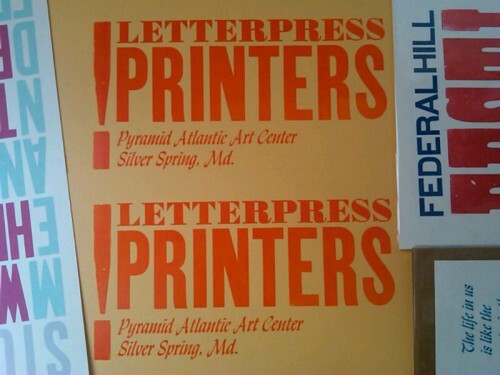 In conjunction with Pyramid’s 30′s Birthday Open House celebration on April 9, Pyramid Atlantic Art Center will be selling sets of letterpress birthday cards designed and printed by various members of our PA letterpress community. That’s my design above! All proceeds from the sales will go to fund Pyramid’s awesome programs and facilities! You can find pictures and links to some of the other cards here. I printed some extra and will add those to my shop this weekend! 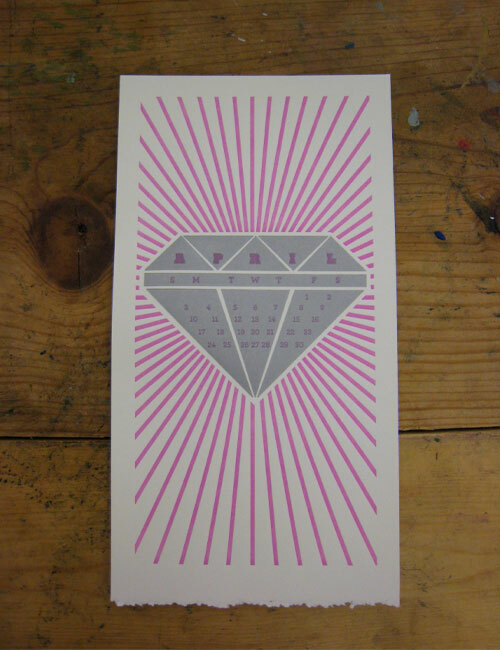 Tags: birthday card, fancy seeing you here, fancyseeingyouhere, letterpress, pyramid atlantic art center, pyramid atlantic birthday fundraiser, sarah hanks, Sarah Hanks Ltd.
What a beautiful and unique letterpressed wedding invitation. Every detail meshes perfectly with the set. 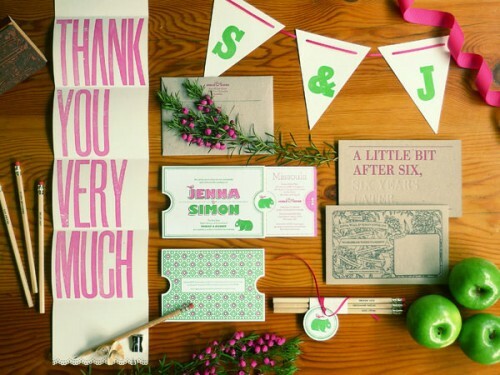 But you wouldn’t expect any less from the two graphic designers that make up The Hungry Workshop. 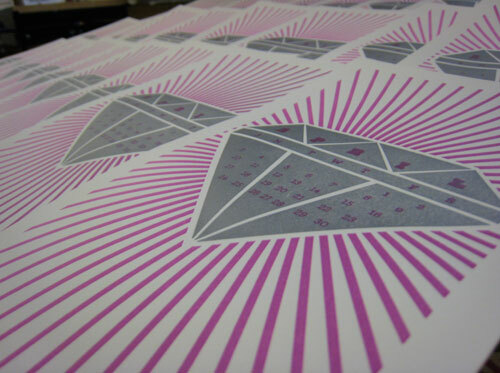 Get all the printing details and more pictures here. I’ve been dying to try this technique on a letterpress project and just haven’t gotten around to it. I think that edge painting makes such a dramatic statement. And it’s a great way to add a pop of color. 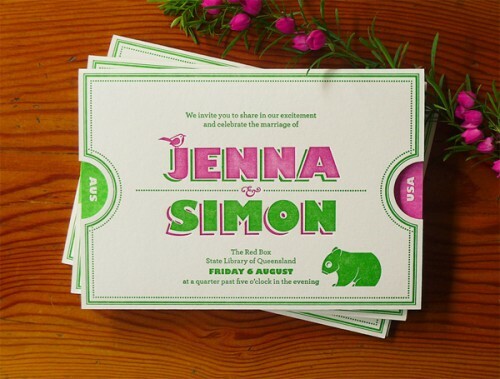 Ok, for the record, I am hear by saying that my next letterpress project I am trying this. 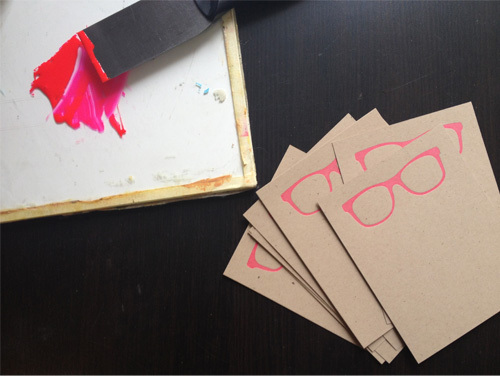 Some of the resources that I have found to help you with this technique: Briar Press & Crane & Co. Please share any advice if you have any experience in edge-painting. Thanks! 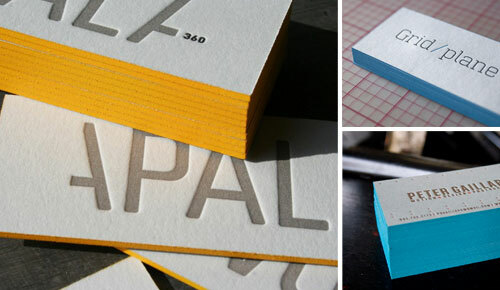 Tags: edge painting, fancy seeing you here, fancyseeingyouhere, gilding, letterpress, sarah hanks, Sarah Hanks Ltd.